Suzanne Cory High School is a co-educational, selective entry government high school for Years 9 to 12, and the only one of its kind in Melbourne's western suburbs. 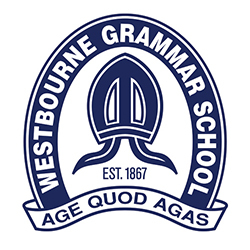 Established in 2011, the school provides highly able and academically gifted students with a challenging educational experience, leading to outstanding outcomes and pathways into tertiary education. The school has a total enrolment of 800 students from Years 9 to 12, drawing from 84 different schools of origin, with government and non-government schools equally represented from the surrounding suburbs and across greater Melbourne. Admittance to the school is via an entrance exam, conducted by the Department of Education in June each year. The educational focus of the school is to provide a challenging and rigorous academic curriculum for students who are considered academically gifted, run in conjunction with a rich cocurricular program designed to extend their learning and provide the best careers opportunities possible to our students. Cocurricular programs offered in 2019 include intra-school debating, song-writing, digital photography, aerobics and aviation. The school also provides its students with the opportunity to develop leadership skills through student-run initiatives, fundraising, extra-curricular clubs and the House system, promoting a strong sense of wellbeing and engagement that extends beyond the classroom. Suzanne Cory High School has an established partnership with Victoria University’s Werribee campus, allowing our students to access the university’s facilities, programs, and academic staff. The school has been purpose built with state-of-the art teaching and learning facilities, and an enviro-centric design drawing on educational research and environmental sustainability principles. In partnership with Victoria University, students of Suzanne Cory High School have access to an all-weather athletics track, sports field and the university indoor fitness centre. The comprehensive curriculum and teaching and learning model practised within the school is based on internationally recognised best practice research on high levels of student learning achievement, and is dedicated to providing an outstanding learning and wellbeing experience for all of our students.